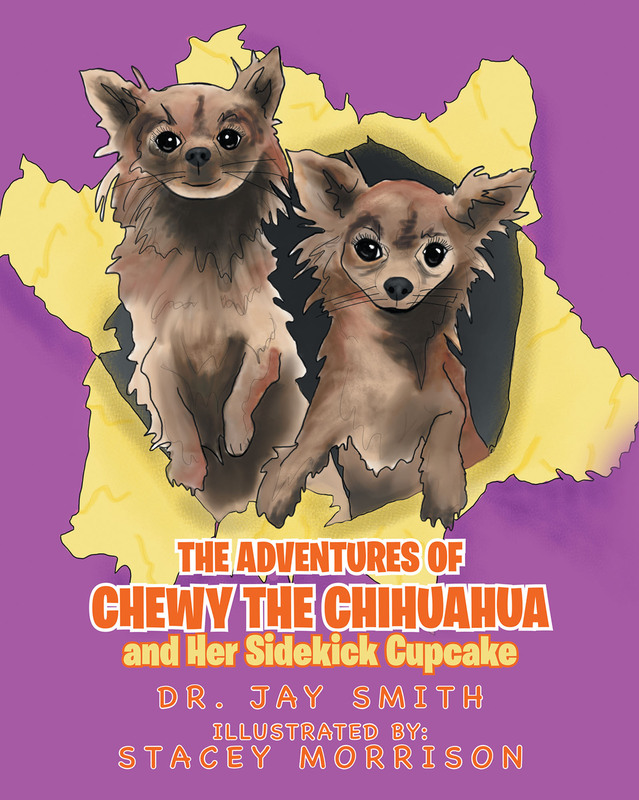 The Adventures of Chewy the Chihuahua and Her Sidekick Cupcake is based on the real-life adventures of two very loving, playful, and stubborn Chihuahuas. Adventure No. 1: The Beginning tells the story of how Chewy came to be with her humans Jay and Marilyn and how she got her little sister and sidekick Cupcake. As the only dog in the house, Chewy received all the focus and all the attention from her very loving humans. When the day came that Jay and Marilyn brought Cupcake home, Chewy was not very accepting of having another dog in the house. Over time and as the two of them began to play with each other, they have formed a strong bond as evidenced by Chewy being the leader and Cupcake being the follower. To them each day is filled with the two things they love to do the most—exploring and sleeping. It is hoped that you will enjoy reading about Chewy and Cupcake. Please visit our website at www.chewyandcupcake.com. Be devoted to one another in love, Honor one another above yourselves.